Olive oil, Sweet almond oil, Bees wax, Sesame oil, Jojoba oil, Provitamin B5, Vitamin E, Chamomille, Cocoa butter, Shea butter Glycerin. Use every day before sleep. As it is very oily it is unsuitable for day care. Apply it onto a cleaned face to achieve best efficiency. Skin will become shiny and feeling of richness starts spreading underneath your fingers. Soon perhaps, you will, like me, get "addicted" to sensation of this cream and the incredible look of the skin in the morning. A super-cream to actively and quickly fight the signs of time! It holds 26% of oils and butters which make it a very oily and nutritive cream. All oils and butters are of natural origin and as such holding plenty of vitamins, fatty acids and other elements that are needed for revitalization and brilliance of the skin. It is best night care a woman can have, fighting time or not. Our skin needs oil to balance the sebaceous gland that is responsible for elimination of oil in the skin. It is our firm belief that oily cream as one part of care is necessary to maintain beauty of the skin, its youthfulness and radiance. Its ingredients reduce wrinkle lines, produce superficial tension that in result makes the existing wrinkles much less in depth and width. 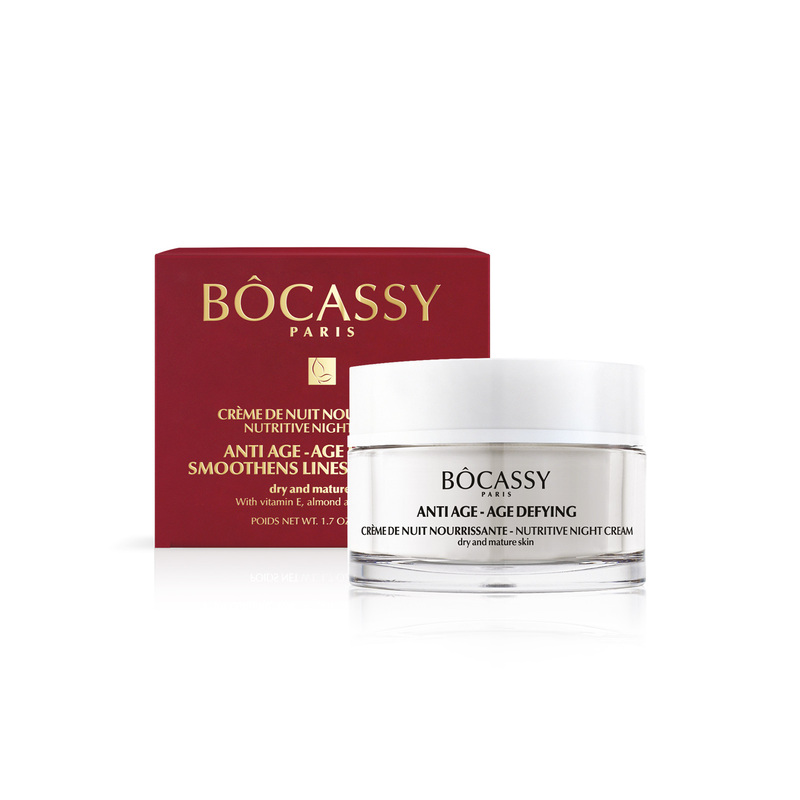 It works divine in combination with Bocassy hydrating gel-cream or Bocassy serum gaining absolute moisture and oil. 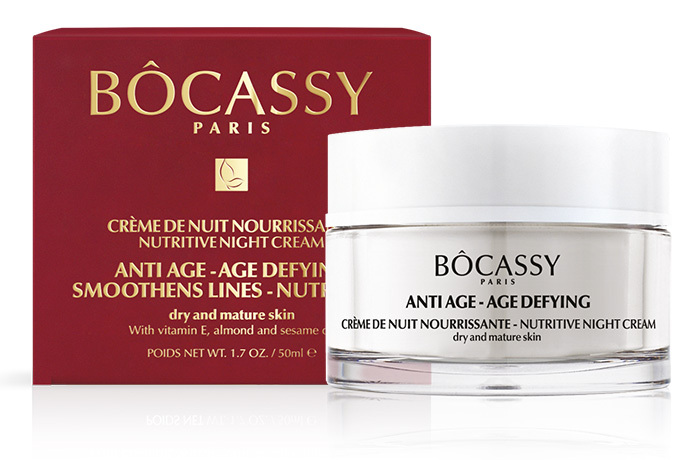 Nutritive night cream is an oasis to dry and lifeless skin, fighting its fatigue appearance already after the first use. Natural oils revitalize skin tissue and nourish it from within, and that’s what makes it irreplaceable. Intake of natural originating ingredients is 92,5%.